Poultry farming is one the most profitable business opportunities across Africa. 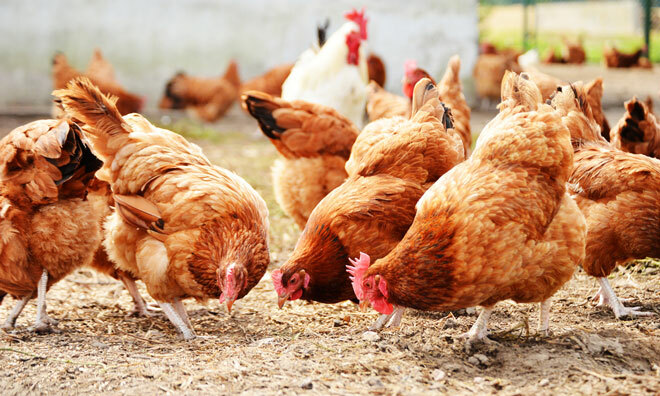 The continent’s poultry market is experiencing a boom as a result of its rapid population increase and economic growth. There lies a big economic potential for many Kenyans in this sector. Each year our population steadily grows. This is the simplest way to show that the poultry product consumer base is increasing considerably. Many more hotels are being set up in towns and estates as well as shops and butcheries. Celebrations, be it weddings, national and religious holidays, birthdays and conferences also provide a huge customer base. The future of this sector looks really bright. A single layer of the right breed can produce up to 300 – 450 eggs in her productive lifetime if the proper management, feeding and disease prevention practices are undertaken. It has been proven that a broiler can give you profits anywhere between $0.5 to $1 (50-100Ksh) depending on your efficiency. Taking a closer look at these success stories, they all have a similar narrative and it goes like this “I started small, went through some hardships and now I’m successful because of poultry”. These stories are few and scarce. What happens to all the other poultry farmers out there? Is success in this venture only for the chosen few? How hard can it be? With this in mind, we set out to hear what the normal poultry farmers were experiencing. Their stories weren’t rosy at all. Despite the challenges they faced, most of them said that poultry farming can be very rewarding and lucrative if done right. Experience is key. As a farmer, you need to understand what your chickens are ‘telling’ you from their behaviour and the sounds they make. This is called chicken speech. Their clucking sounds can tell an experienced farmer a lot about what the chicken are going through, be it temperature, hunger, thirst or fear related. As you can tell by now, a lot of time and care needs to be put into understanding poultry. This is better known as experience. The relationship between success in this venture and experience are directly related. It is the difference between making a sweet profit and making a loss even though there are those get lucky on their first try. Most farmers tend to put a lot of effort into rearing their flock and this happens to be quite stressful. No shortcuts can be taken at any stage. Whether it is providing heat to chicks, vaccinating or providing proper feed. It must all be done with the utmost care, at the right time and in the right proportions. Failure to do this can cause high premature deaths. In fact, most farmers experience poultry deaths in the range of 7-10% if not more. This is high and it all translates to loss in revenue. With this in mind, this article aims to enlighten poultry farmers and would be farmers on simple solutions to the problems they face. Highlighted below is management, one of the major problems farmers face and how best to address it. Everything comes down to management. Proper records of everything related to the business need to be kept. The venture needs to be tracked to check on profitability to know what needs to be streamlined and where efficiency needs to be increased. The biggest management issues are feed, water and labor. High-quality feeds are vital to running a successful venture. Any shortcuts will lead to stunted returns be it weight or production of eggs. Although this is one of the most expensive parts of poultry keeping, it cannot be undercut in any way. Don’t starve your flock too. This may lead to them turning cannibalistic and eating each other. As a management tool for those who can, the feed conversion ratio can give an indication of how efficient your production is especially for meat variety of birds. For example, it should range between 1.2-1.8 for broiler. Your workforce also accounts for a lot. Ensure you have dedicated employees helping you out in poultry keeping. Pay them right and they will put their heart and soul into it. Fail to pay them right and this will most likely lead to uncommitted workers, who will sabotage and most likely steal your products or slaughter one or two birds without your consent. That is it for now. The next article will deal with setting the right foundation and proper administration of poultry drugs. Take heart, poultry keeping is a good investment and is very profitable. Anyone can do it, no matter their level of education or how deep their pockets are. Follow these steps and whether you are a seasoned farmer or a beginner, you are sure to succeed. Stay tuned in to learn more about the technological revolution we are working on to change the lives of our farmers. Please leave a comment below and share with our community on some of the highs and lows you have gone through in the poultry industry.